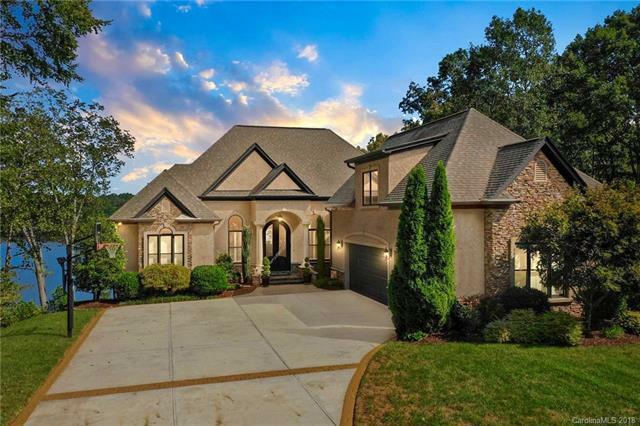 With a mountain-like feel & big water views on the quieter end of Lake Norman, just south of where lake & river meet, this meticulously maintained waterfront home is waiting for you! Screened-in sun porch, covered patio, & a wide-open terrace all overlook the tranquil waters ahead. Beautiful landscaping & thoughtful hardscapes are already in place to guide you down to your private covered dock. A landing pad is perfectly positioned half-way down for evening entertainment in front of the outdoor fireplace, under the moon and stars, or as a place to kick your feet up on the way down to the water. Exquisitely appointed from the inside out & built for year-round entertaining, this slice of Heaven is conveniently nestled in the heart of the Catawba Valley. Quiet, peaceful, & away from the hustle & bustle. Easy Access to Hwy 16, I-40, between Hickory, Winston-Salem/Greensboro, Charlotte, and the picturesque NC Mountains. Or take I-77 to Hwy 150. You'll want to call this home!